The budget subsidiary of the Russian airline Aeroflot is called Dobrolyot. The company’s value could reach $1.2-1.4 billion in four years, but only if airline regulations are changed. 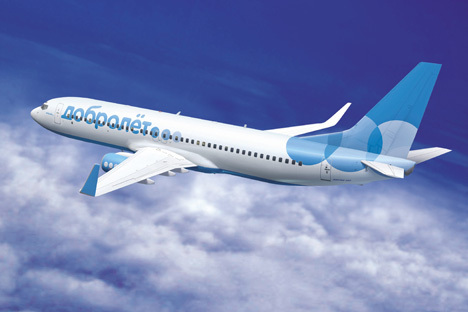 In 2014, the budget carrier plans to fly to St. Petersburg, Samara, Yekaterinburg, Makhachkala, Krasnodar, Ufa, Kaliningrad and Novy Urengoy. By 2015, routes will include Anapa, Volgograd, Surgut, Novosibirsk, Kazan, Sochi, Tyumen, Omsk, Perm, Nizhnevartovsk and Chelyabinsk. In 2016, Rostov-on-Don, Astrakhan, Mineralniye Vody, Kiev, Erevan and Istanbul will be added to the list of destinations.